Black Tourmaline is the first choice for protection from radiation and electromagnetic fields (EMFs), such as those given off by computers, phones, routers, cell towers, TV etc. 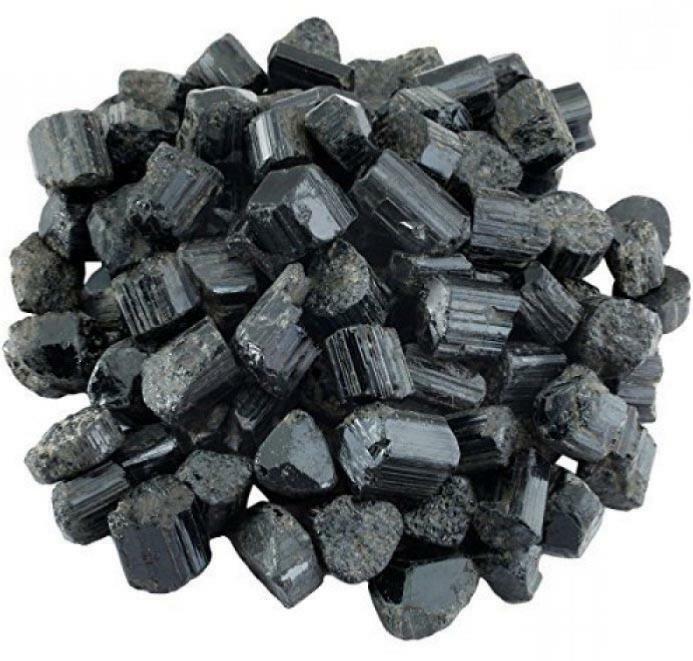 "As a protective stone against "spells" which are cast by the negative side of another, black tourmaline is a special stone to Native American Indians; black tourmaline in quartz not only dispels the "spell" but energizes the "victim" and actually increases well-being. African Shaman have used Tourmaline to promote the awakening from the "dream of illusion" and to promote the experience of the self as part of the universal spirit. It can be used in the treatment of arthritis, dyslexia, heart dis-ease, anxiety, and disorientation. It can also provide for both the stimulation and the balancing of the adrenal glands." Melody, Love is in the Earth.